India's first radio festival was held on 15th February 2018 at the UNESCO house, in New Delhi. The radio festival was conducted to mark the World Radio Day 2018, which was on 13th February 2018. 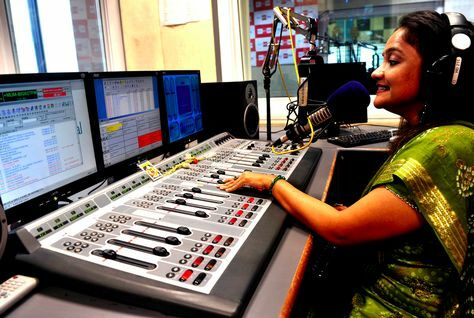 The radio festival was organised by the International Association of Women in Radio and Television (IAWRT), in cooperation with United Nations Economic and Social Council (UNESCO). The radio festival aimed to usher radio professionals, podcasters and other digital audio programmers together in concert. The radio festival included live performances, exhibition, and slotted expert panel discussions. The discussions were purely based on the theme for World Radio Day 2018 ‘Radio and Sports’. The radio festival explored the potential of sports and radio as a platform for social change, efforts to make it more creative and in discovering the journey of music on the radio. Ministry of Information and Broadcasting, Join Secretary, Anju Nigam; Director General of All India Radio, Fayaz Sheheryar; Director General of Door Darshan, Supriya Sahu and UNESCO representative to India, Shigeru Aoyagi spoke at the radio festival. Para-athlete Deepa Malik also spoke on ‘Role of radio in Sports’ at the inaugural session of radio festival.